A beautiful soft white baby grow that displays the baby's birth information. 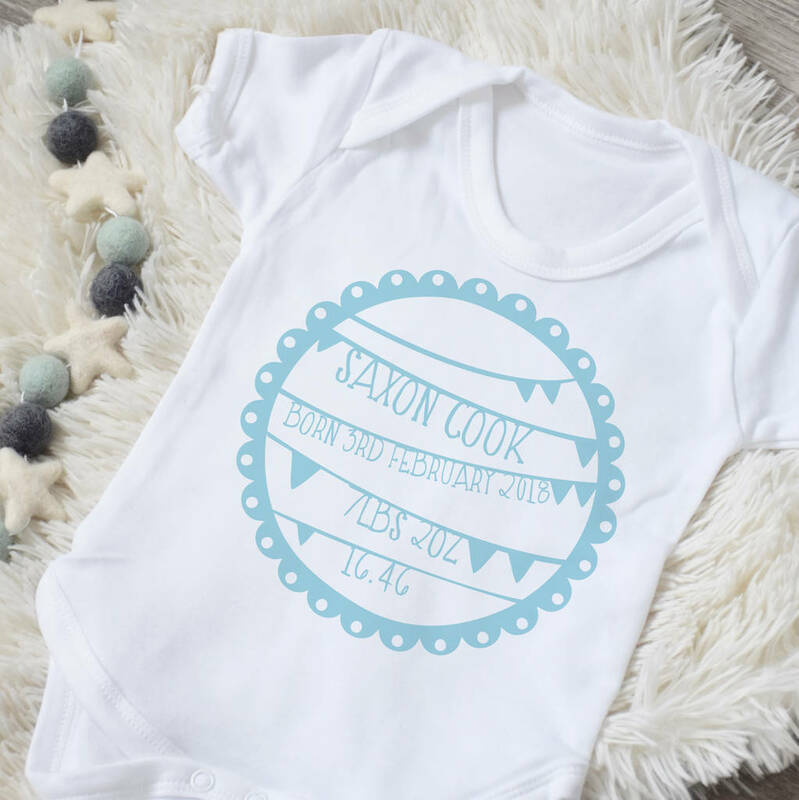 Perfect to wear for a newborn or frame as a keepsake. This item comes beautifully wrapped in white tissue paper. 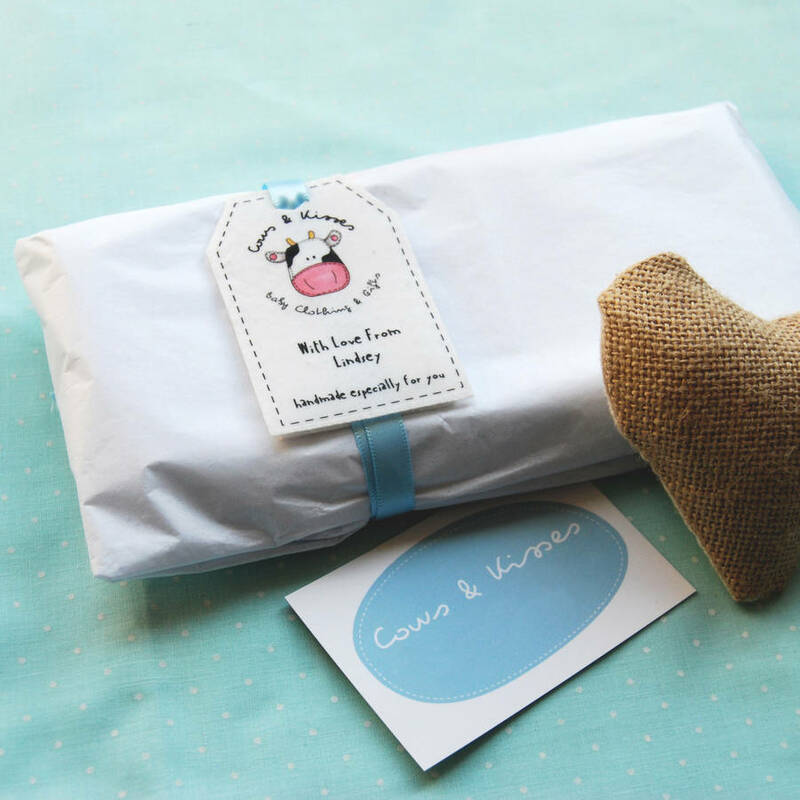 You can also include a personalised message on a gift tag perfect for sending directly as a gift. 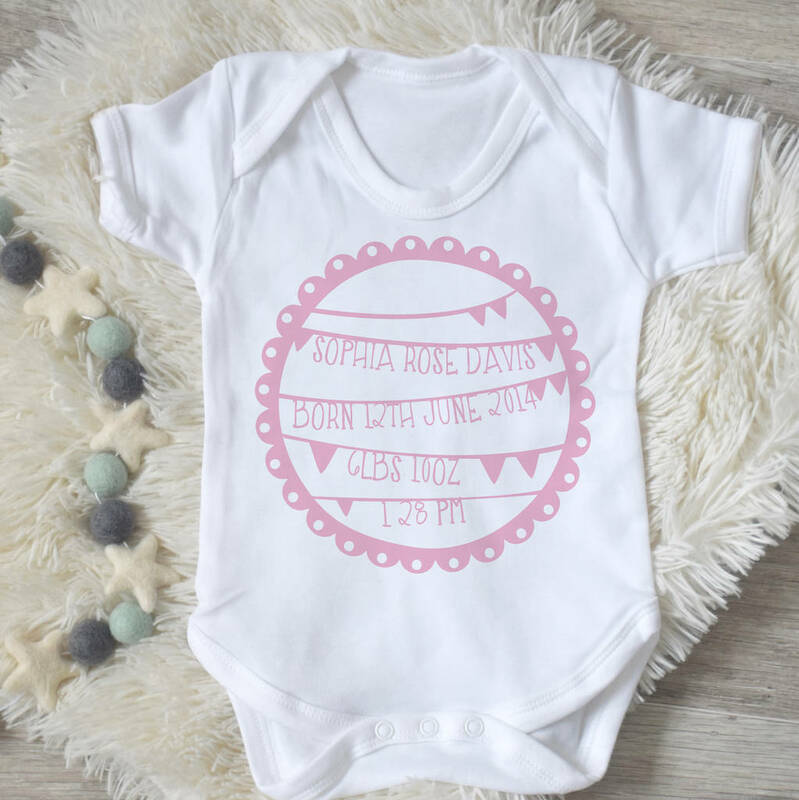 You can add the baby's name, date of birth, birth weight and time of birth. You have the option to choose from 4 colour options: Grey, Teal, Pink or Blue. This vest is available with either long or short sleeves. 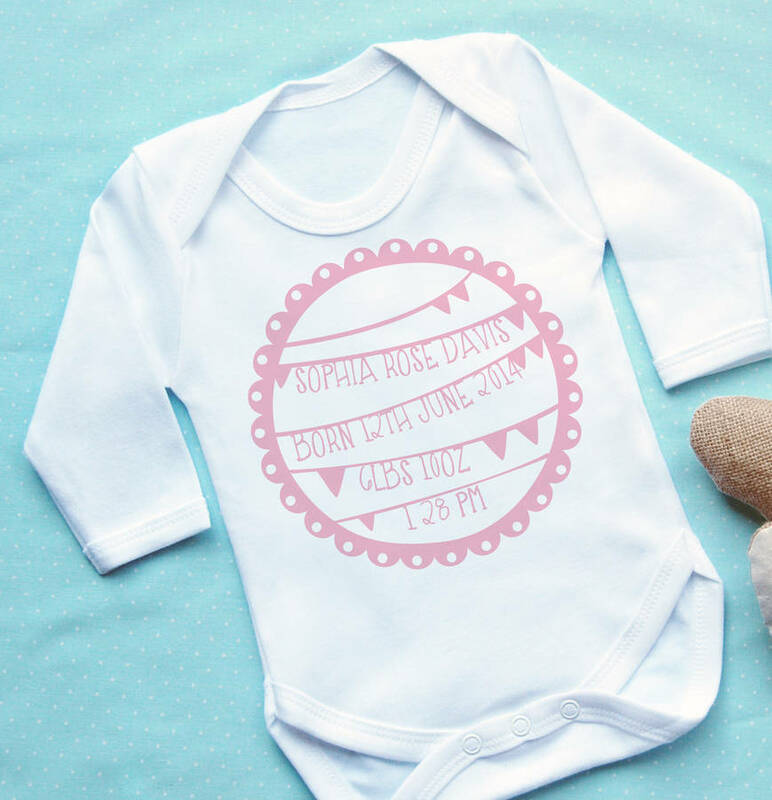 This design features cute country bunting, have a look at our other designs for many more cute designs. 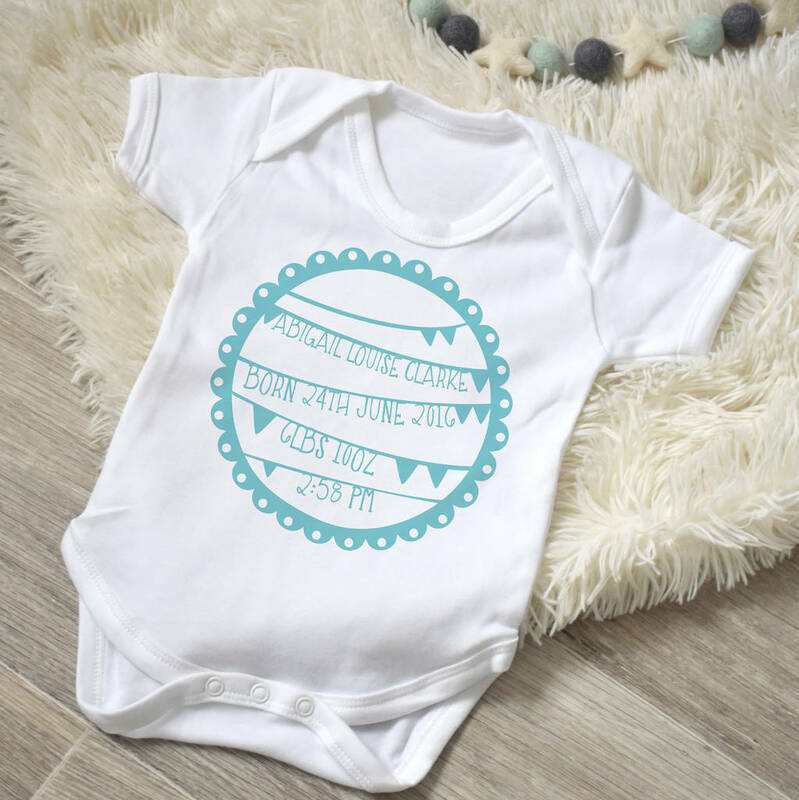 100% cotton featuring hand drawn designs. 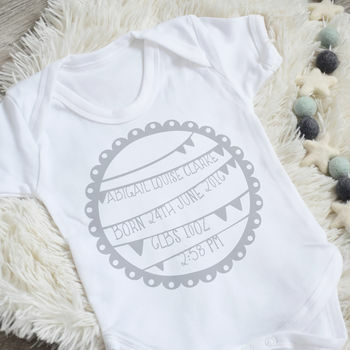 Wash on a low temperature and iron only on reverse, for best results hand wash.
0-3months: 5.5kg (56-62cm) Perfect for new arrivals, a great keepsake. 3-6months: 8kg (62-68cm) Perfect for a little monkey! 6-12months: 10kg (68-80cm) Perfect for when they want to tell you who's boss! This product is dispatched to you by Cows & Kisses.